NEW Soft open cell, polyurethane foam provides excellent support and comfort for lateral leg studies. Meets the new California 2015 Technical Bulletin #117-2013 standards. Non-allergenic. New “fresh” light mint-green color. 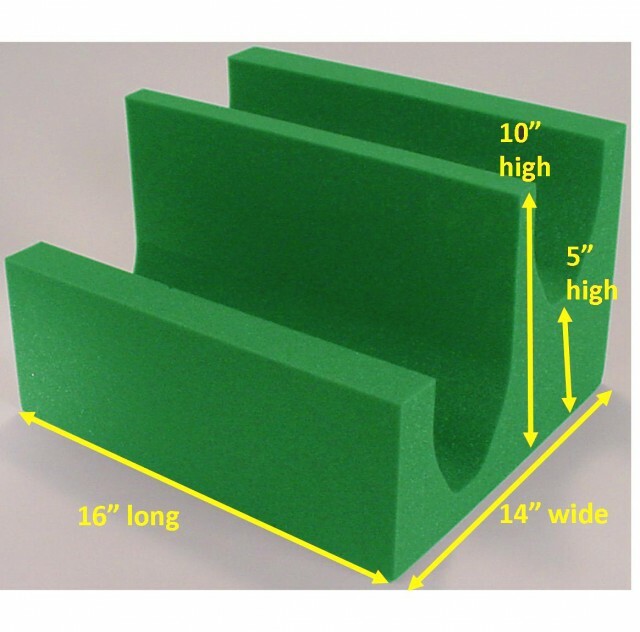 Sponge Size: 10"H x 14"wide x 16" long cross lateral leg block used for leg imaging studies.